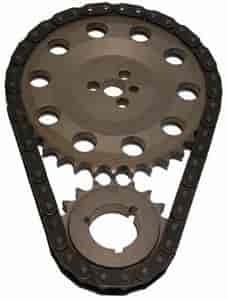 These Cloyes timing chain sets feature full roller action on .250'' diameter solid rollers with carburized pins for excellent wear resistance. Precision machined cast-iron cam sprocket, billet steel crank sprocket with 3 keyways. Does Cloyes 9-3154 fit your vehicle?